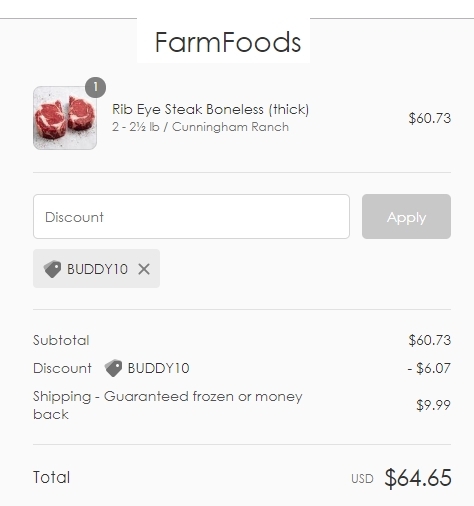 Joanne 10% Off Sitewide at Farm Foods Market with coupon code BUDDY10. Check out their sale section. Many items ship free.